Comment: Covered front entry has wooden column on each side. One of the Base board (connected to wooden railing) on the left wood column is rotten and need replacing. Want a quote with a satisfaction-guarantee on the resulting work. Thanks. Comment: I would like to get an estimate for We have Masonite siding and our chimney chase has a lot of rot and damage to the siding and trim. Comment: Re paint whole house. Durham Siding Contractors are rated 4.75 out of 5 based on 1,330 reviews of 30 pros. 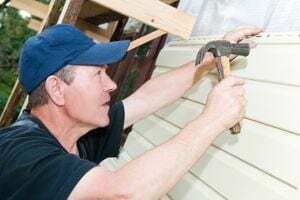 Not Looking for Siding Contractors in Durham, NC?